How does the saying go?...Necessity is the mother of invention? Well that's how this bag came to be. 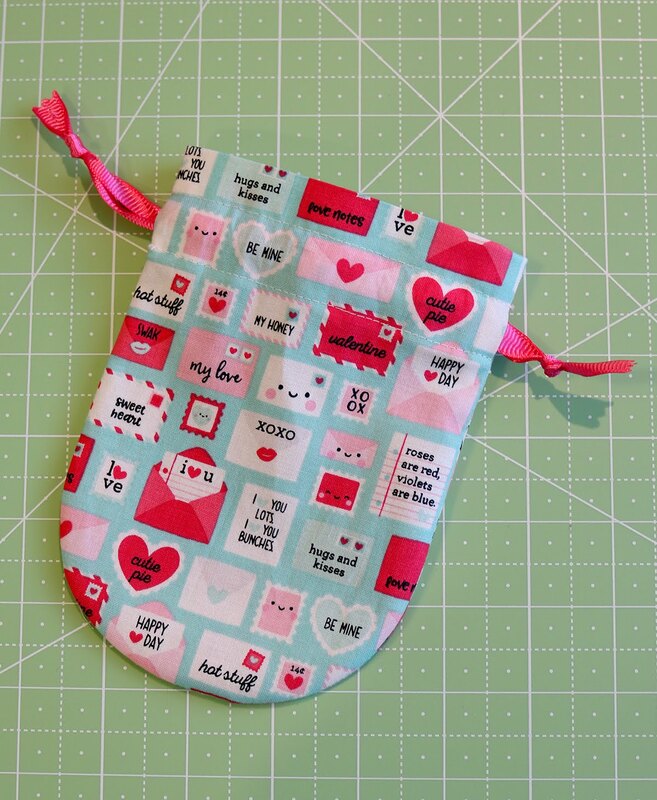 I needed a little bag that was quick to sew and was big enough to hold a handful of candy and I wanted it to have a unique shape. It needed to have a wee bit of personality. 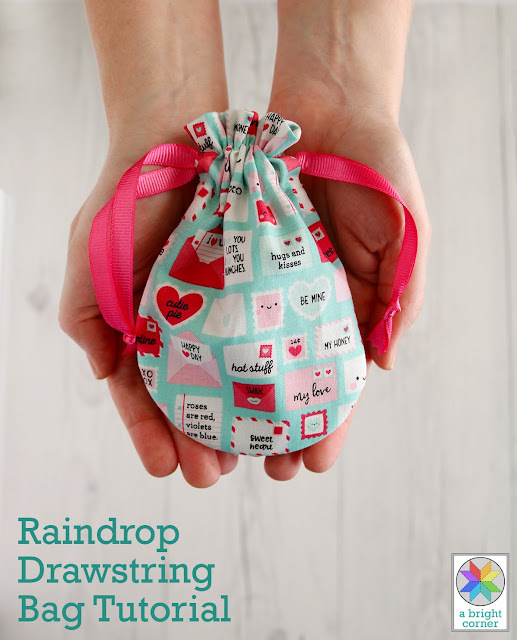 And so the Raindrop Drawstring Bag was born! 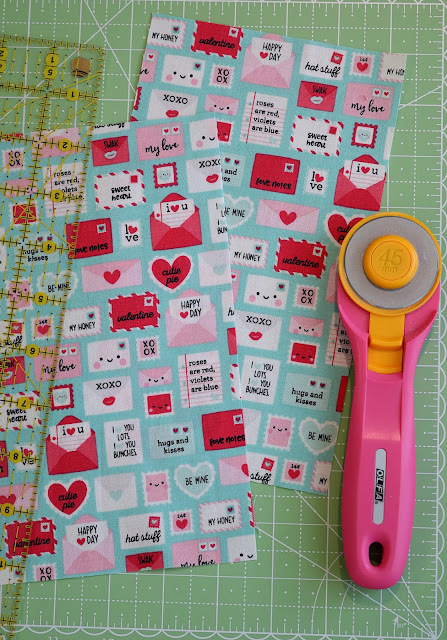 These were so fun and fast to make so I decided to share a tutorial here with you. 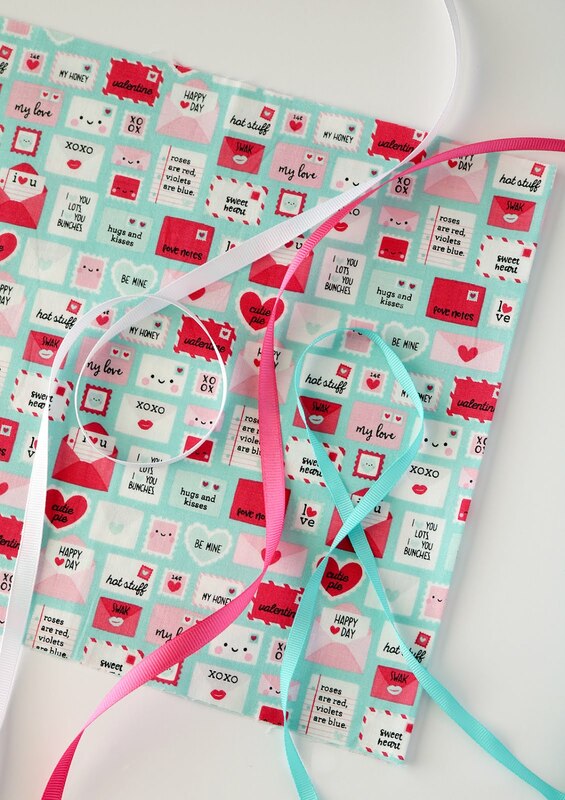 First of all, aren't these valentine prints so sweet? 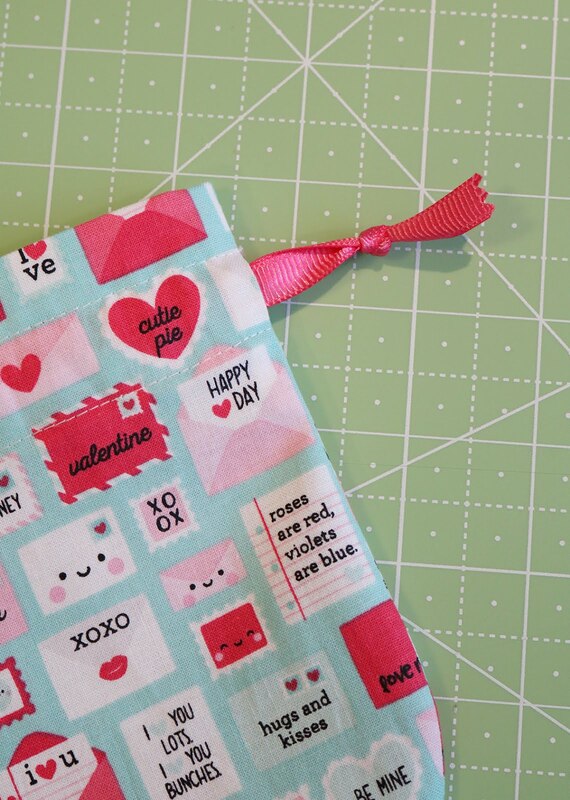 It's a little novelty line by Riley Blake Designs called Punny Valentine. 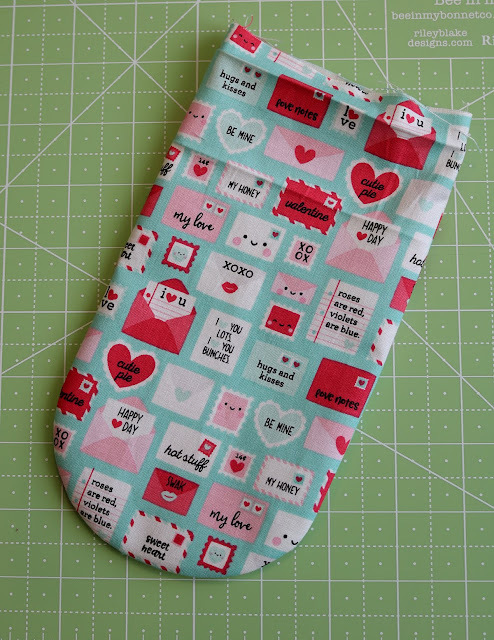 I'm using the teal print but there's also two different pinks plus a couple of other coordinating prints. See more of them here. 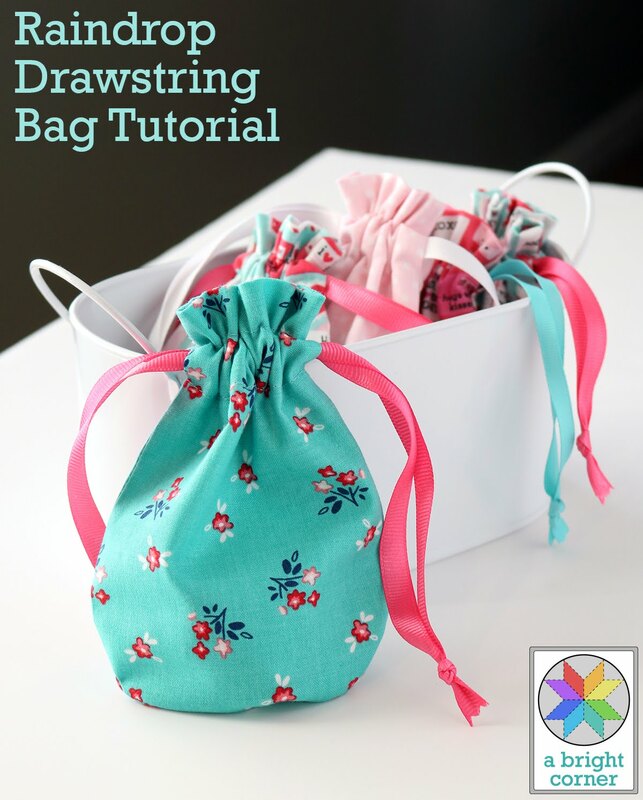 **want to make more than one bag? 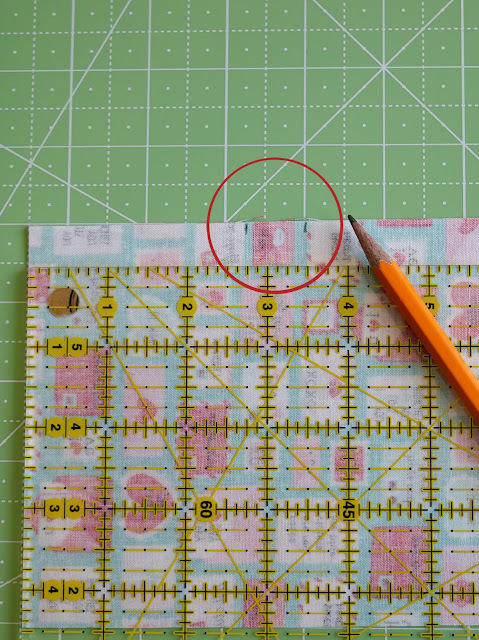 Step 1: Cut your fabric into two rectangles measuring 5" x 8 1/2"
With a pencil, trace the bag shape onto the wrong side of one of the rectangles. Really you'll only need to trace the curved bottom edge of the bag since the straight edges of the template will line up with the top and sides of the rectangle. 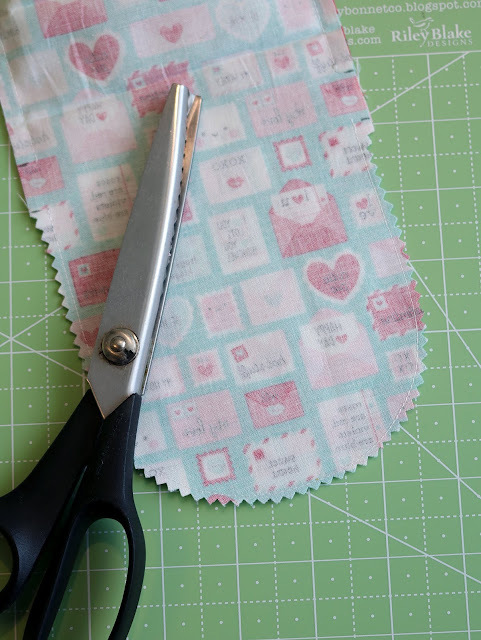 Stack both fabric pieces together and cut along the lines with scissors. 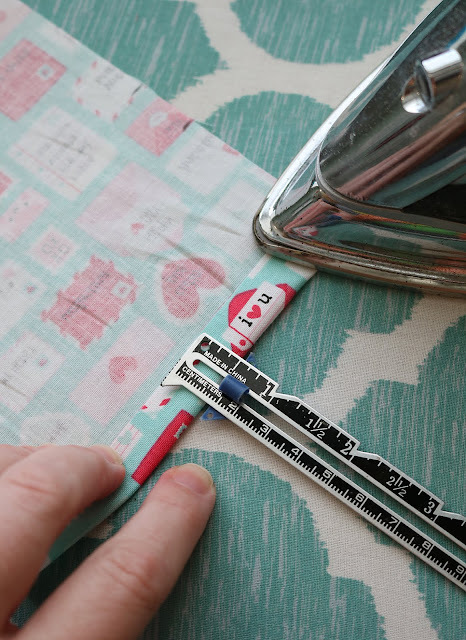 Step 3: On the wrong side of one of the pieces, make a small marking at 2.75" from the top edge and at 3.5" from the top edge of the bag. 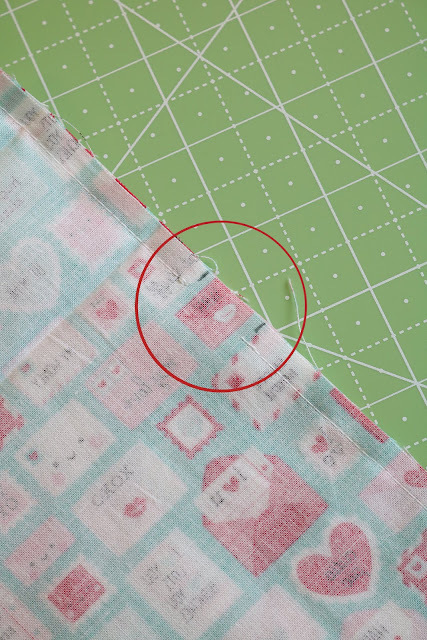 Make the same marks on the opposite edge of the same bag piece. These markings tell you where to stop and start sewing and will create an opening for the ribbon to be inserted at a later step. 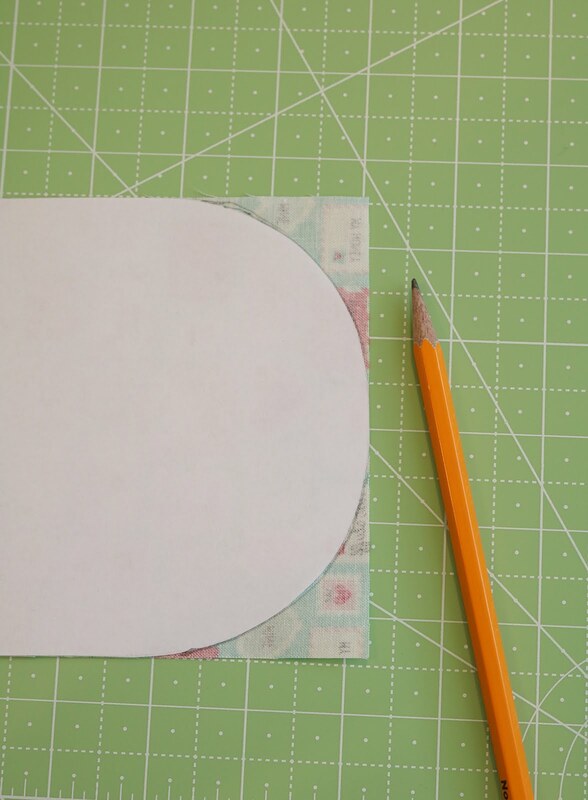 Step 4: Along the top edge, fold down 1/2" and press. Then fold over again 1 1/2" and press. Press both bag pieces. Step 5: Unfold top edge and place the two bag pieces right sides together. 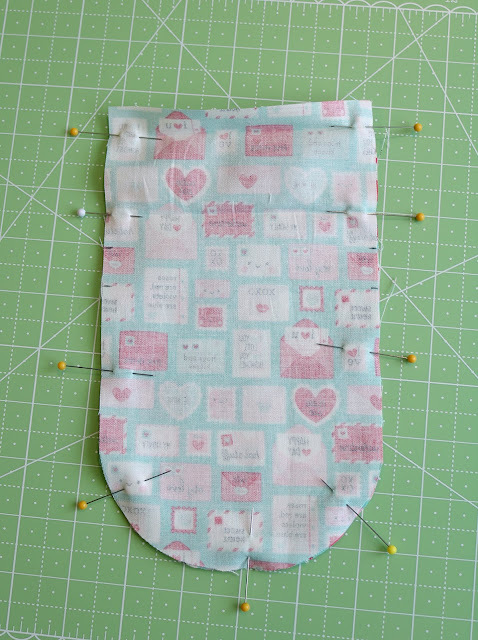 Pin together along the sides and bottom. Step 6: Using a 1/4" seam, stitch around the sides and bottom of bag, leaving the area between the marked lines open. 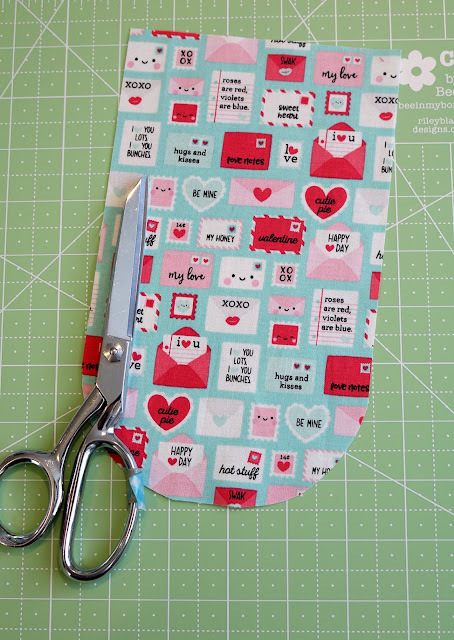 Step 7: With the pinking shears, trim the seam allowance around the curved bottom edge of the bag. Clip close to the seam, but be careful not to clip through the seam! Step 8: Turn bag right side out. On the inside of the bag, run your finger along the bottom inside seam to gently push out the fabric along the curved edge. 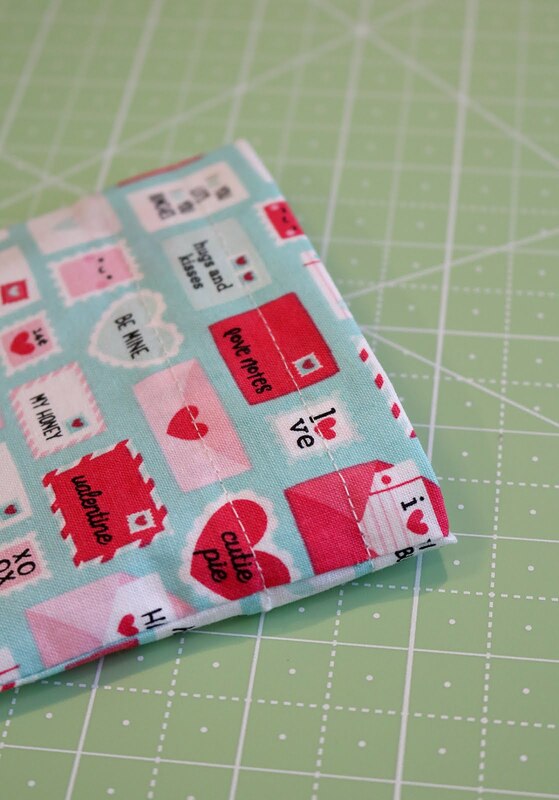 Then lay the bag flat and give just the bottom of the bag a quick press to make that curved edge nice and smooth. Step 9: Fold the top edge under 1/2" along the pressed fold line and then again 1 1/2" along the pressed fold line. Use a couple of pins to hold it in place. 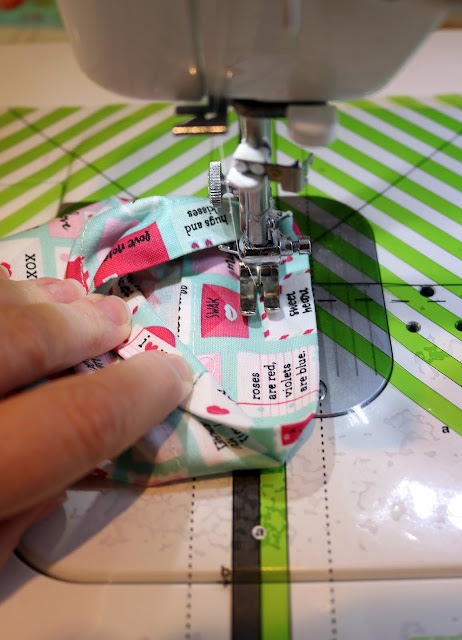 Step 10: On the inside of the bag, stitch around the bag opening close to the first folded edge. Then stitch a second time 5/8" from the top edge. This will create a channel for the ribbon. Step 11: Cut two lengths of ribbon, each 17" long. Place a safety pin at one end of one of the ribbons. 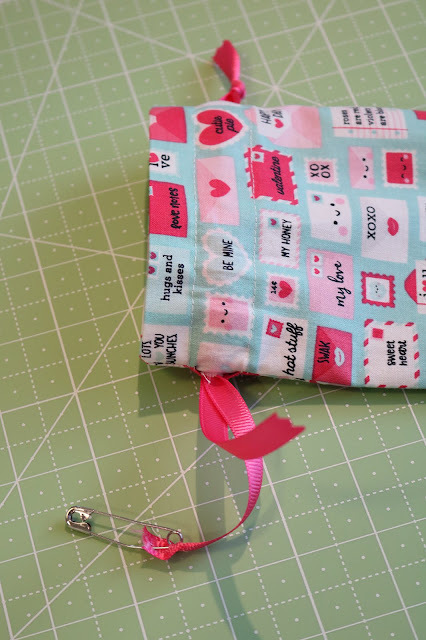 The pin will make it easier to guide the ribbon through the channel. 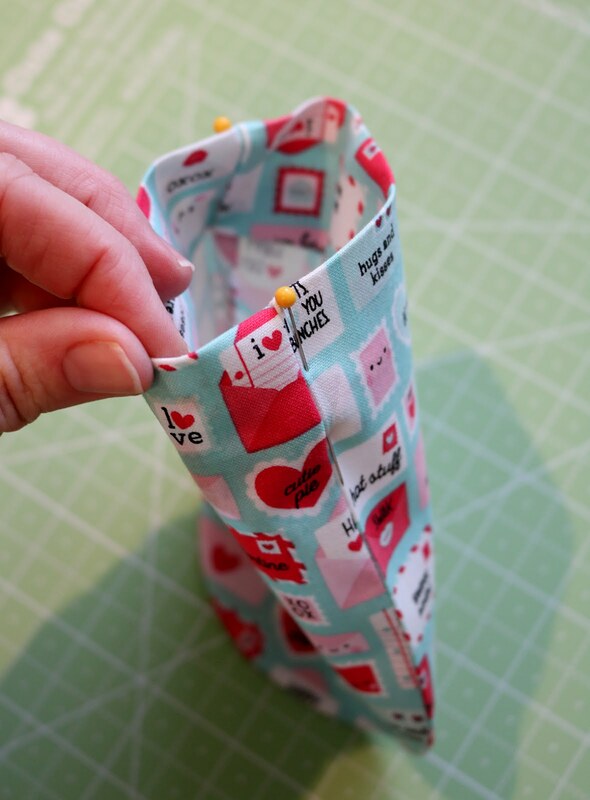 Push the pin through the opening on one side of the bag. Thread the ribbon around the entire bag, having it exit out the same hole it entered. Remove the pin, knot the ribbon ends together and trim with pinking shears to keep them from fraying. 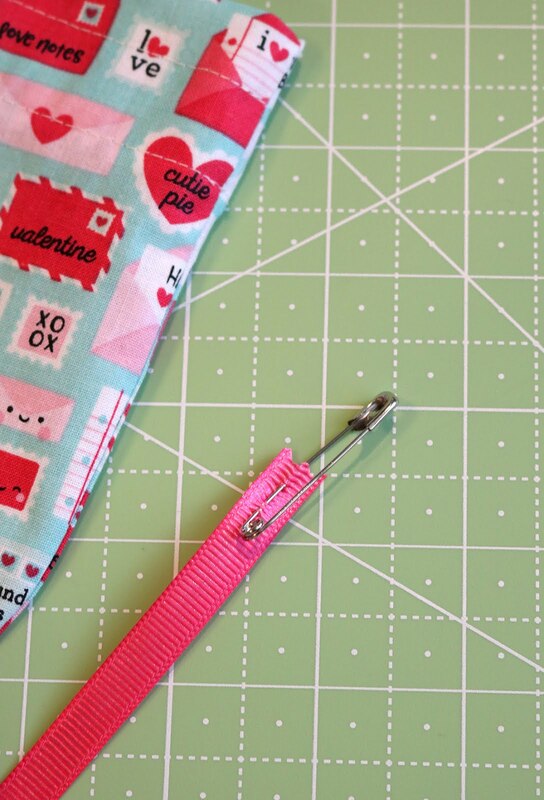 Step 12: Place the pin on the end of the second ribbon. 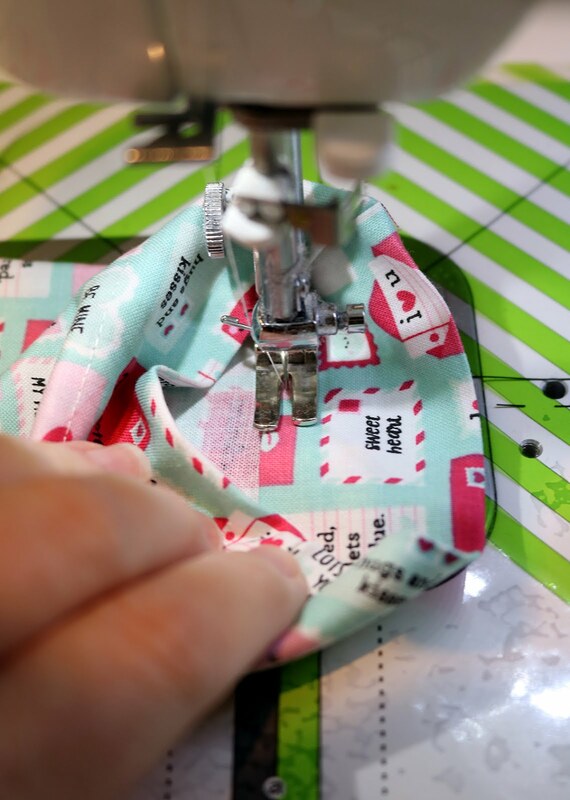 Thread that ribbon through the hole in the opposite side seam of the bag. Push the ribbon around the entire bag, having it exit the same hole it entered. Remove the pin, knot the ribbon ends and trim ends with pinking shears. There should be a knotted ribbon on each side of the bag. Pull the ribbons to cinch the bag closed. Your bag is done! 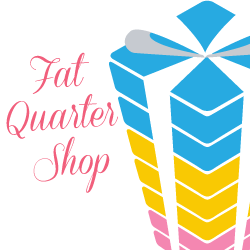 Fill it with candy, earbuds, jewelry, more candy, a gift card....whatever! Here are my four bags together. 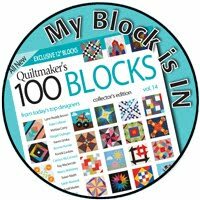 I must warn you - these are fast and fun and a little addicting. I really just needed one bag but these prints all looked so good together so I just kept going! Want to save this for later? 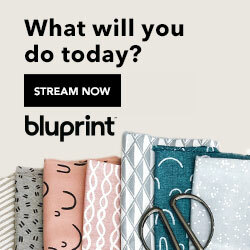 Pin the image below to your Pinterest board so you can find it when you need to. 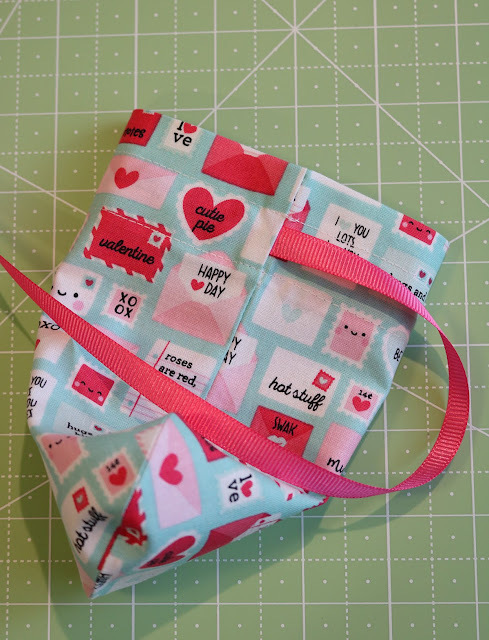 And if you make a bag I'd love to see it! 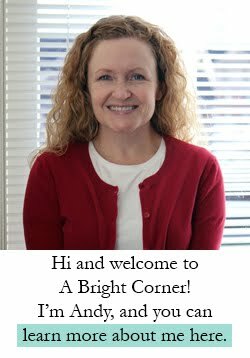 Tag me (@abrightcorner) and use the hashtags #raindropdrawstringbag and #abrightcorner. 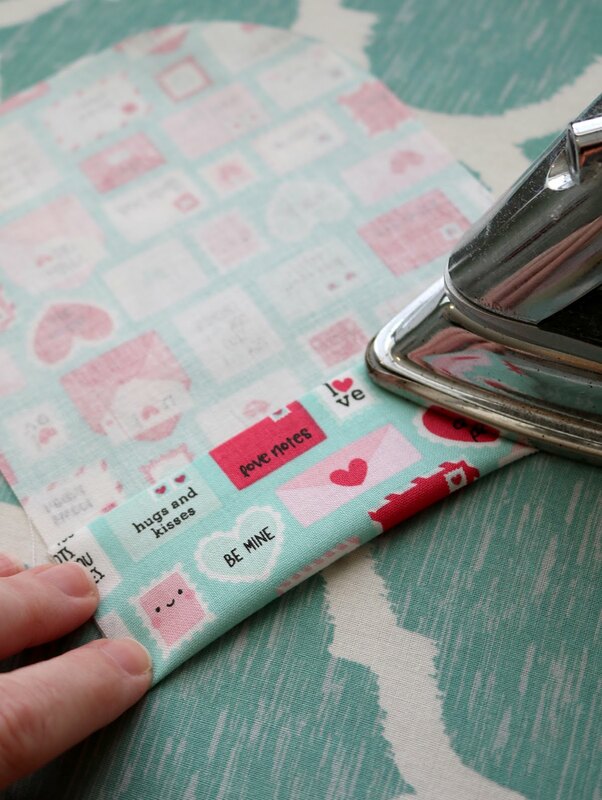 Happy sewing, and enjoy your weekend! Way too sweet! Thanks so much for sharing. I can think of a hundred uses for them! 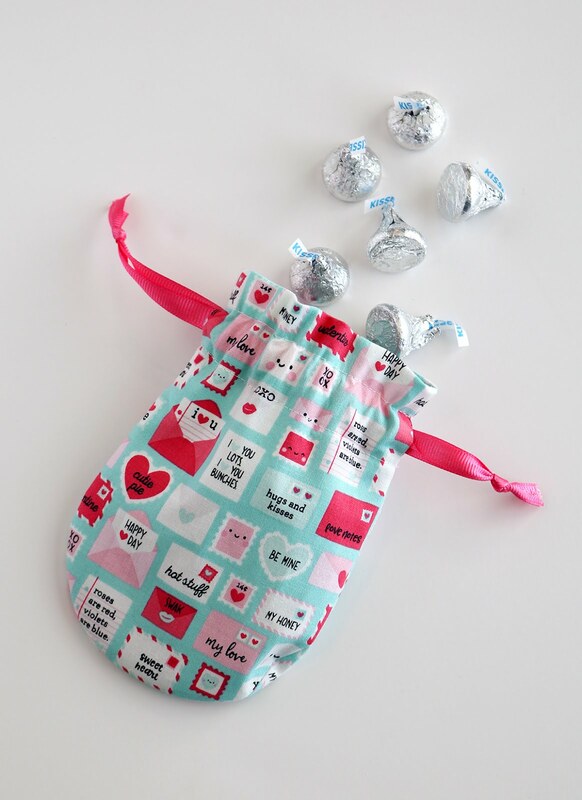 Your little raindrop bags are sew sweet! I love those colors and prints! They would be adorable for so many different occasions! 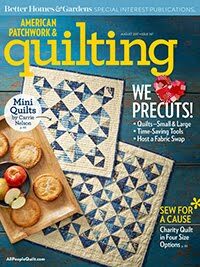 Thank you so much for sharing your pattern with us! 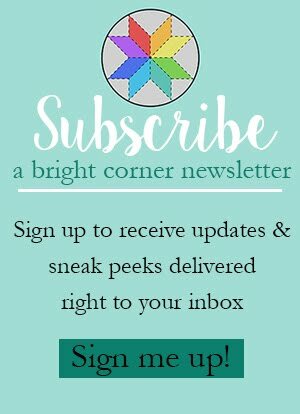 Awesome, cute and quick! Thank you so much for sharing your little Raindrop Drawstring Bag. You have given me some inspiration. Adorable bags, I can see these in a variety of uses! 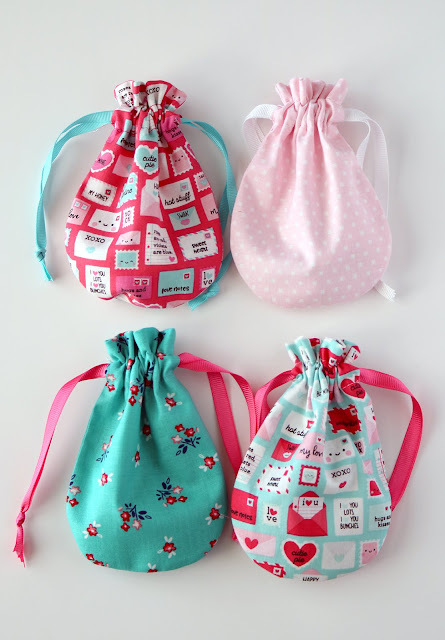 Adorable bags! Great idea for my granddaughter to make. Thank you for the tutorial. So cute & versatile! 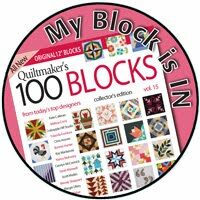 Thank you for your very clear tutorial & pattern. I love this. I little stuffed kitty will be so sweet in this. My Granddaughter will love it. Thanks so very much.